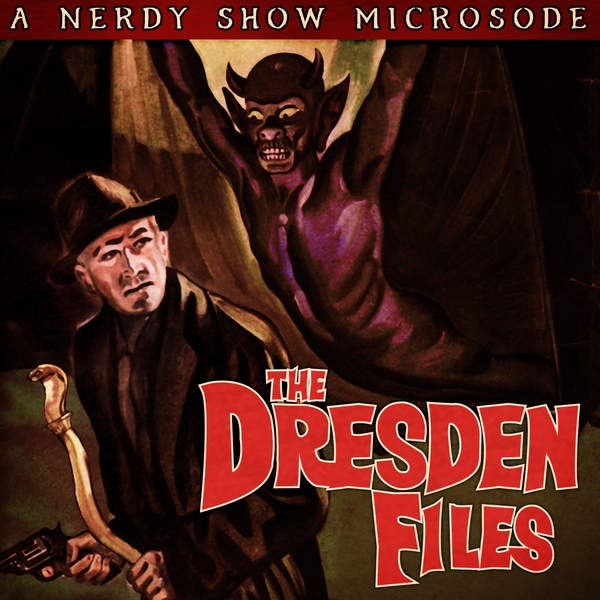 When it comes to series that deal with magic and folklore, some of the most provocative stories are set in modern times: Buffy the Vampire Slayer, Supernatural, Harry Potter... and one other cornerstone of that genre that somehow we've never talked about on Nerdy Show: Jim Butcher's The Dresden Files. The novels, the comics, the roleplaying game, even the much-maligned TV show are home to a plethora of paranormal pantheons and all sorts of exciting spins on popular myths. This episode is both a spoiler-free starter-kit for the uninitiated and a walk down memory lane for those eagerly awaiting book 16. Join Dresden-philes Trench, Luke, and Arkais along with total uninitiated novice, Cap, as we explore what sets Butcher's world apart from its contemporaries, our favorite characters and villains, and all the tie-in media.